Reality Training for Children Part 3: How? This article is about reality training for children. Parts 1 & 2 of this series of articles have been a big hit with visitors to this site and subscribers to the newsletters. The final part of this particular trilogy covers how we should teach children to be efficient students of realistic self-protection and practical martial arts. I'm very grateful to Jamie for sharing the final part of fasinating series. 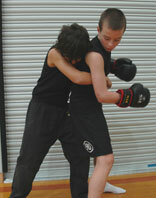 How do we teach children to be efficient students of realistic self-protection and martial arts? It's a tough question and if training children is to be seen as an allegory for teaching fundamentals then it is not surprising that this very element is where the martial arts education industry is at its weakest. I see teaching children as a path to retraining ourselves about base principles and commonsense. 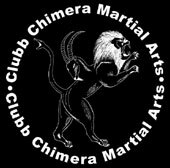 In short, the premise I set for myself when I first founded CCMA (Clubb Chimera Martial Arts) was if I cannot deliver a system that can be applied by those in our society who need it the most, then I am not really teaching self-protection. In my previous two articles I discussed both why we should teach children, which addressed the intention factor, and what we should teach children, which addressed the knowledge factor. Now we come to the "How" component of this teaching habit, which addresses skill. I would argue that intention and knowledge are elements that are easier to retain than skill. Skill is developed and worthwhile skills need continuous development. Children are generally taught in most martial arts classes using the ancient "donkey training method" - the "old carrot and stick" theory. Depending on the particular martial arts class, instructors either lean towards regimented discipline that involves the threat of punishment or reward their students with various bribes. The punishments can be a variety of things from being made to do press-ups to the threat of being excluded from a class. The bribes come in all shapes and sizes from material rewards to special games. These methods work well in the martial arts community, a subculture that is built up around the aspiration and awe of hierarchy. I am not completely discounting these methods, but I challenge that the results they yield are pretty limited if this is a student's only source of motivation. In the short term the "donkey training method" shifts a student's intentions from his original mission, a mission to learn how to deal with a physical and violent confrontation in real life. This has now been replaced by a desire to avoid being punished and/or to claim a reward. What the "donkey training method" teaches in the long term is a wish to please a teacher, a grading examiner, a competition judge or some other well-placed individual rather than learning something for its real purpose. Sadly even the long term benefits are ultimately short term ones as time moves on and the novelty of having a certain grade or winning a particular trophy wears off. The irony is that these short term positive rewards were not the student's intentions when he first entered a martial arts or self-protection class. Unlike his regular school, where the "donkey training method" may be regularly used, he has made a proactive decision with his parents to take up training at your club. He is not compelled by law to attend your class - rather he actually wants to go there because he has decided to attempt a specific mission, a mission he wants you to help him accomplish. This goal may have been dressed up with the perceived status symbol of a black belt, but ultimately he wants to be better equipped in dealing with a physical conflict. He has begun on the right foot and has even provided the first third of forming an effective habit. Your student knows why he should train, he has intention. It is up to you to know provide him with the correct knowledge and to teach the correct way how to apply that knowledge in alignment with his intention. Sadly what often happens is that both instructor and student get lost in their system of superficial rewards and obscure targets. Using the "donkey training method" as a base, teachers have progressed onto the most efficient way to obtain these superficial yet abstract goals: they become technique-driven. At school we all-too-often figure out the most efficient systems or techniques to pass exams rather than spending time actually embracing and genuinely understanding the subjects we are studying. Teachers, with their heavy work schedules, pressing national syllabus requirements and limited time, often encourage this superficial system of education. Therefore, with this being the norm in most educational establishments it follows that children expect the same from their martial arts classes. That's why the general public speak of wanting to learn "a few moves" to protect themselves. We are geared up to seek solutions in techniques. I remember during my early martial arts training how I would compete with fellow pupils in learning a pattern faster than them. Any thoughts of what the techniques represented were pushed out by the urgency to learn the routine. This would then become the common target for a lot of my future learning, further encouraged by the desire to keep up with the rest of the class. In Sakiado and Taekwondo it was all about learning the patterns, in the Chinese styles it was all about learning the various forms, in Ju Jutsu it was the two-man katas, in the Filipino arts it was all about getting the hubud flowing, and in Muay Thai and Kickboxing it was a case of remembering all the set combinations. Thoughts of chaos and the associated stress that is at the very centre of violence were often given lip service, touched upon in sparring, but - to reference a certain cliché - it was more of a case of the exception that proved the rule. When I finally started up CCMA many years later, I was determined not to make such mistakes, but it would not be long before I found myself falling back into the "technique trap". It happened at our third grading. During the grading the children had all performed very well. They had demonstrated how to protect their personal space, performed general awareness drills, hit the pads hard and accurately from a natural position, shown courage and tenacity in their strike-based sparring and had just finished some grappling. They were now expected to demonstrate their reflexes when put under sudden pressure as they faced the infamous "code white" drills. These are exercises whereupon a student closes his eyes and opens them immediately when he hears a sudden noise close or someone touches his fence (here represented by arms moving in natural gestures, as if talking). Upon opening his eyes he immediately acts upon the situation. He may be ambushed by another student or he might open his eyes to see a target "violating" his personal space. However, today, as the tests progressed, the children were "surprised" by the presence of an adult. To my astonishment all the children immediately and enthusiastically tried to grapple the obviously much larger and stronger individual. Interestingly they had previously responded to the pressure tests pretty well, striking a focus pad as soon as the holder touched their fence or fought back with unbridled ferocity if a fellow pupil had jumped them. However, the adults just weren't taken seriously. Intuitively they became divorced from the essence of the exercise and took advantage of the great fun that was to be had at throwing a compliant adult. All the principles I thought had been so well demonstrated up until this point were thrown out. I learnt straight away and returned to the class that followed the grading with a mission to delve deeper into how I was teaching. Technically I was on the right track. My syllabus contained no techniques and was more generic situation based. My students had been taught basic safety rules for the street and understood the idea of pre-emption and being proactive. However, they had become fixated on a certain area - attribute training - and I had not successfully taught them how to switch off this mindset. This is because up to the grading I had become too worried about making sure they were doing their takedowns with correct form and the sparring had become competition orientated. It had been good in one sense, as they had developed their skills, but sadly we had all allowed the specific objective to become obscured. The visiting guest examiner had been suitably impressed (CCMA has a policy that a respected and experienced self-defence instructor be an impartial guest examiner at all official gradings), but I knew something fundamentally was wrong with the way I had been teaching. One of the five tenets I had based CCMA on was to keep an open mind. At face value, this was representative of our cross-training in martial arts, but now I realized I had to open my mind wider. I had to look outside the hugely varied, but very limited world of martial arts. I needed to look into all of this more holistically. I noticed that modern successful business owners always began a project with the end in mind. They did not get wound up in quick-fix solutions and cosmetic techniques that will, at best, temporarily keep the business running. Such methods are becoming more and more obsolete with only small companies still using them and finding, to their frustration, how little their business progresses or how much it just stagnates, as the rest of society continues to evolve around them. In contrast, successful business owners decide exactly what their long term goal is before looking into the best ways to achieve it. This goal involves all stakeholders in the business and therefore makes them all responsible for the success of the business's mission. Once this is decided upon, they then look into managing time effectively so that everything done within business hours is attached to the mission. Martial art training is no different. Time is too scarce to be wasted upon unproductive activities that only serve to divert a student's and eventually the whole school's goals. A class should begin and end with a firm idea about what today's particular goal is going to be and how this goal attaches itself to the student's and the club's entire mission. Every exercise should have a designated purpose - the more abstract the less important. Since I teach children's self-protection I see it is as a waste of all our time playing a game that has little if any relevance to the application of pragmatic self-protection principles. 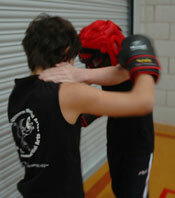 Games have become very popular in children's martial arts classes lately. They help kill time for an instructor who battles with the notorious attention spans of children. However, no matter how many games you pick, some children will still drop out of class. To a degree they are being honest with you by exposing your limitations as a teacher. They can see that they are not really progressing. If they wanted fitness, they would go to a fitness class and if they wanted to play volleyball - which one instructor I knew regularly did with his students - they would join a volleyball club. This is where the martial art "belt factory" schools step in, so they can reduce the once revered method of awarding a belt that used to designate a student's level of competence and experience to no more than a quick-fix method to keep children interested in actually learning martial arts and, of course, spending more of their parents' money. It is a case of coaxing the donkey with yet more or juicier carrots. Having used the "donkey training method" metaphor you may think me somewhat of a treacherous hypocrite when I reveal that I come from a very long line of animal trainers. Giving responsibility to an animal when undertaking his own training may seem a bit of a far stretch, but nevertheless a recent episode illustrated my point regarding allowing the proactive thought process to work. Animals may not have clearly defined long term goals or have proactively decided to achieve a certain trained behaviour, but on the other hand they tend to provide the best results when, within certain parameters, they are given the freedom of independent thought. My mother has trained dogs since she was a child. From time to time she is asked for advice on teaching a specific action. For example, she was recently asked by someone how they could teach their young dog to skip. Without revealing too many tricks of the trade, I will explain my mother's method. First of all she completely opposed the forced "technique" of making the dog jump over a skipping rope and then pulling it back by use of a collar and lead. Instead she set up a skipping rope with a physical barrier and passed the lead under the dog's legs. The dog jumped and then immediately stepped back as it instinctively knew it could not get past the barrier. This eliminated the common problem many new trainers have regarding getting a dog to step back in order to jump the rope again. In short my mother set up a simple activity with a simple restriction and then allowed the animal to work out the process for himself. Because CCMA is based on activity and not on specific technique, games actually form a big part of our training methods. We regularly use "live" drills to reinforce set principles ever since that fateful grading when my students showed me a significant flaw in my own teaching. Somewhere I had become lost in so-called "effective reality-based" training and enabled my students to become disempowered. All our games now, as explained in my previous article, are about discovering what works for the individual. When someone discovers something for themselves they have a tendency to claim it and it becomes a natural part of them. These drills maybe just games to children, but games with a purpose and a clear objective. This objective is discussed and explained by the students themselves at the end of every activity. It is still fun, but each student also understands its relevance. When it comes to discussion - a very important area in any class - few instructors actually discuss anything. The designated discussion period in a class, which is usually given at the end of a lesson, tends to betray the instructor's real agenda. If your primary goal is to make money then you will find that your end of lesson discussion will consist of a sales pitch. If you are living in ritual and tradition rather than live application of martial arts then you will be forever quoting past masters, ancient fables and so on. If you are just interested in action then you will say the bare minimum to sign yourself off and dismiss the class. However, a teacher who is completely interested in making his students independent thinkers and proactive people who will take charge is a teacher who is willing to listen. He will encourage feedback, and if he cannot get it out of the students he will go to their parents. He will put surveys together and address the issues raised by feedback. If your integral principles are firm then you have nothing to lose. You may have to change, you may have to adapt and you may have to ask yourself deep questions, but this is the nature of progress. This is what keeps your teaching alive and children - that fantastic metaphor for rapid growth and fundamental development - will continue to demonstrate to you just how much and how fast things do change. These are exciting, if scary, points for experienced teachers, coaches and instructors to take on board, however, if you have been brutally honest with yourself along the way you will also receive small but significant rewards. If your principles truly are robust, are grounded in commonsense or intuition and obey natural laws then they will be unshakable, they will guide you resolutely on your teaching path just as your techniques, tactics and perhaps even strategies alter around you. In other words, the feedback and your personal experience will define your principles. We have a regular system of active learning, testing and then honest appraisal, which no one is above or beneath. By allowing a form of restricted or contained chaos become a big part of your training you are forced both as a progressive teacher and as a student to develop, to acknowledge individual differences and also to observe universal patterns of behaviour and movement. Most of all in order to empower people, in order to give others responsibility, including taking on the bigger picture yourself, you have to trust. This means you have to trust your adult students to read up on the "soft skills" books you have recommended to them. You have to trust your child students to embrace what they have learnt and to apply it to their everyday life. In addition to this you have to build trust with parents that they are aware of your policies and principles regarding self-protection, also referring them to appropriate research material so that they can monitor their own child's development. Teaching children does require a lot of patience, but then so does any meaningful endeavour. Children are the perfect measure for your teaching skills. As my fellow teacher and friend Richard Barnes once said to me, "with adults you have to communicate on one level whereas children often represent various different levels". They will test you all the way and, if you are not careful, will make you slip back into the "stick and carrot" tactics of old. You will moan that they look for the easy way out, only to find that you have also resorted to quick-fix techniques that will solve the temporary problem, but take you off-course from your goal. I know this because I am tempted on a regular basis and here and there we all slip up. This is what makes every single lesson a learning experience and good argument that you are a genuine progressive martial arts teacher. Children are great to teach because they are so literal in their interpretation of information and are blatant in showing classic examples of human behaviour, particularly when they engage in physical activities. As I previously mentioned, they are naturally dependent and live in a society that more than ever offers instant gratification on a regular basis, so all the negative disempowering tell-tale signs will quickly surface once they receive any form of real responsibility. These include blaming their training partner and showing pure unchecked emotion as soon as they hit their psychological walls. Because they exist in a world where they are very reliant on others, they have also learnt how to manipulate people in authority in order to fend off any discomfort and get what they want (although, as my good friend and coach Mo Teague would say, not necessarily what they need). These include asking to go to the toilet, asking when the next drink break will be, keeping the teacher talking - even if it means being reprimanded for bullying - and general time wasting. It is down to a teacher's discretion how to spot stalling tactics from genuine requests, and whether it is best to persevere or change tactics. Having said this, a difficult child can also be a good barometer for your own teaching methods. Some will leave eventually because your class is the uncomfortable contrast with the rest of their life, which offers easier rewards and less effort at the moment. Others may simply give you signs that there is something in your teaching that is just not reaching them and can be altered. Remember that understanding is always the key to effectively communicate with people. If self-protection and martial arts are supposed to be holistic endeavours that should become integral to life, then we should consider how much your teaching affects your students outside of their lessons. This is why the parents are so important. I continue to try to involve parents as much as I can in the running of my clubs. If the crux of our system is about reality then it is the real world that we need to focus on. This is the world outside of the classroom. It is a struggle, but I do not want my class to be treated as a crèche or just another hobby removed from everyday life. I want to hear back from parents who tell me that their child is acknowledging his personal space in everyday situations. I also take on board any problems or questions parents have regarding the training. We all need to be on the same mission and not be giving children mixed messages. The "How" side to teaching can never be given justice in a literal step-by-step guide. What I believe is better is to let you take a big step back from the syllabuses, the text books, the rituals and the techniques, and to decide exactly what your genuine target is for your child students and, indeed, all your students. Ask yourself what are you exactly offering them and what have they come to you for in the first place. When you are completely happy with that then decide how you all, that is teachers, parents, students and anybody else you believe holds a stake in your programme will go about achieving this end.